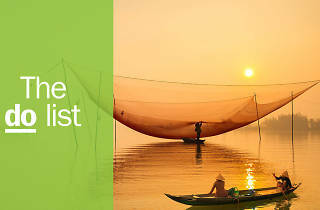 Jimmy Tran / Shutterstock.com HOIAN, VIETNAM - JANUARY 23 : Two women on boat go to market in sunrise in a village of Cua Dai, Hoi An, Vietnam on January 23, 2015. 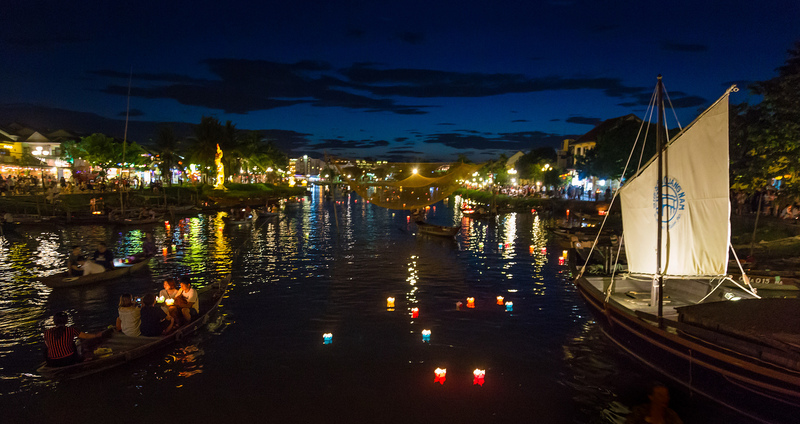 Hoian is recognized as a World Heritage Site by UNESCO. 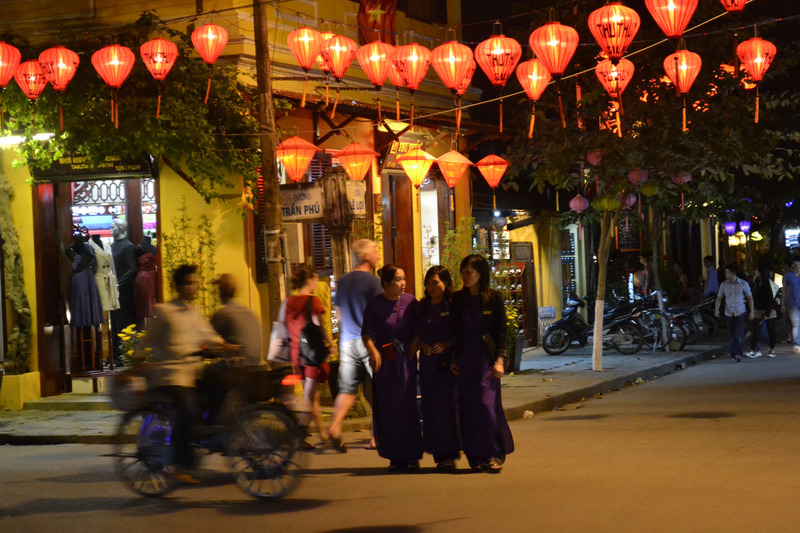 Hoi An is one of Vietnam’s most attractive, atmospheric and distinct cities. Welcoming travellers for generations as a former spice trading port, the city’s cultural legacies from China, Japan, France and even Portugal are clear. The calm cobbled streets of the UNESCO listed Ancient Town are a shopper’s paradise during the day, while the lazy river threading itself through the city is illuminated by bars at night. Couple this with great street food, and some of the country’s best palm tree-lined beaches only a short bike ride away, it’s little wonder that travellers flock here from around the globe. 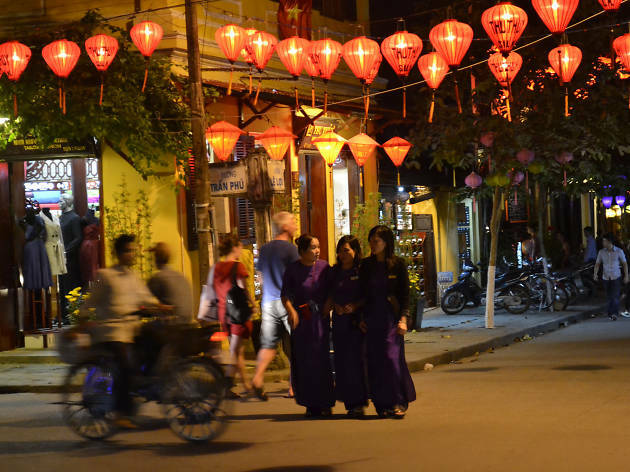 Here are our top things to eat, drink and do in Hoi An. What is it? A wonderfully preserved UNESCO-listed town with beautiful architecture. Why go? Hoi An’s Ancient Town is a sprawling series of cobblestone streets lined by wooden houses and temples dating back to the seventeenth century. While individually these buildings are significant, as a whole they become unmissable. It’s easy to spend a day exploring the area by foot. The influence of Chinese, Japanese and French architecture styles are all around, so take your time. Start your day with a photo at the Japanese Bridge before strolling past the French colonial style storefronts and canals. 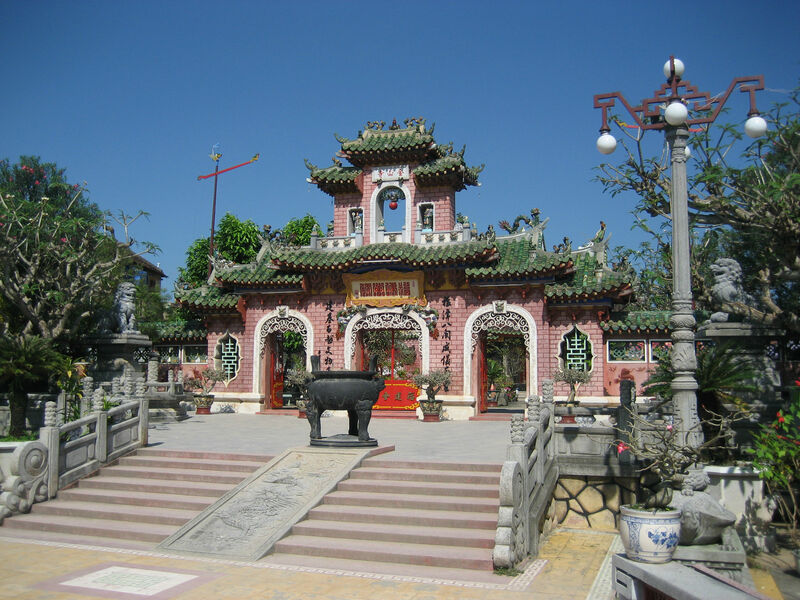 The 200-year old Tan Ky family home and shrine, Chùa Ông pagoda and Chinese Assembly Hall are all worth a look. What is it? 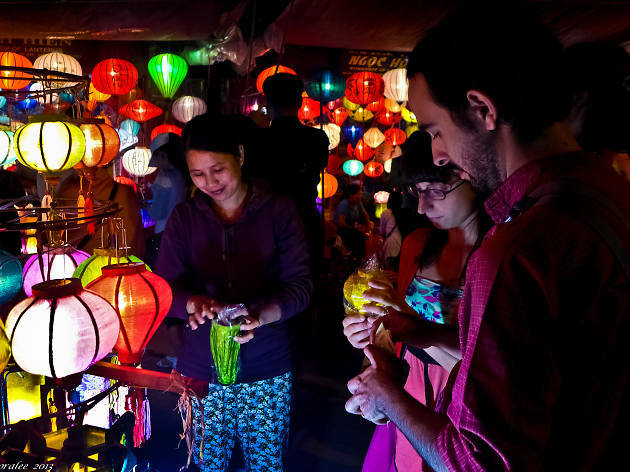 A beautiful lantern market with top-notch shopping and food. Why go? 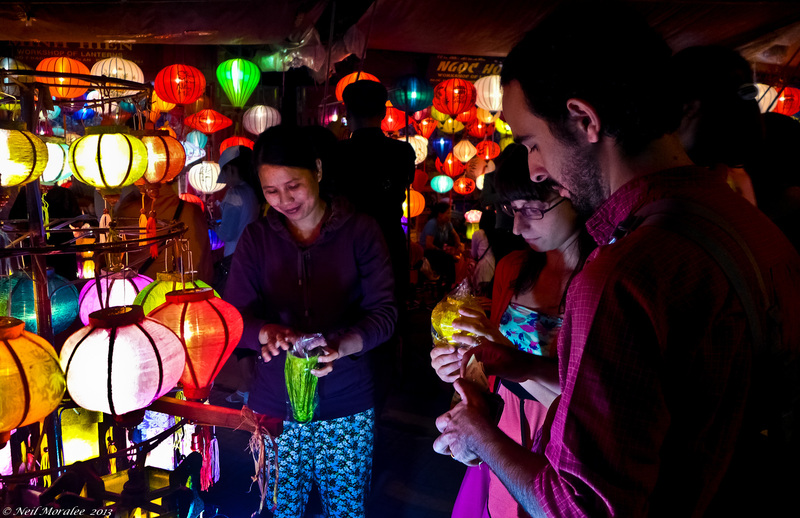 Hoi An’s very popular night market is a must-see for all aspiring photographers and foodies. Elegant paper lanterns line the paths as shoppers search for souvenirs. Come dinnertime, street hawkers appear out of nowhere to sell a staggering variety of tasty eats. Try the very affordable chicken, prawn, pork or veggie skewers with spicy peanut sauce cooked over small charcoal barbeques. 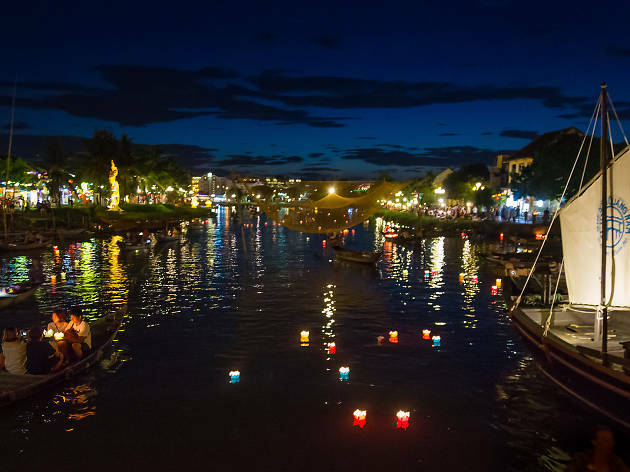 Afterwards, head back towards the river to the Bridge of Lights for a small boat ride, popular with couples. What is it? A traditional and very ornate Chinese hall and shrine. Why go? Also known as Fukien Assembly Hall, this traditional Chinese temple built in 1690 has served many purposes over its long history, from being a place to socialise to a temple dedicated to Thien Hau, the sea goddess who protects sailors. These days the shrine is popular for those looking for prosperity, or in the case of young couples, fertility. An impressive and ornate gate leads to a colourful courtyard and the main temple containing decorative dragon statues and shrines. What is it? A beautiful beach, only a short bike ride away. Why go? For the sun and scenery. 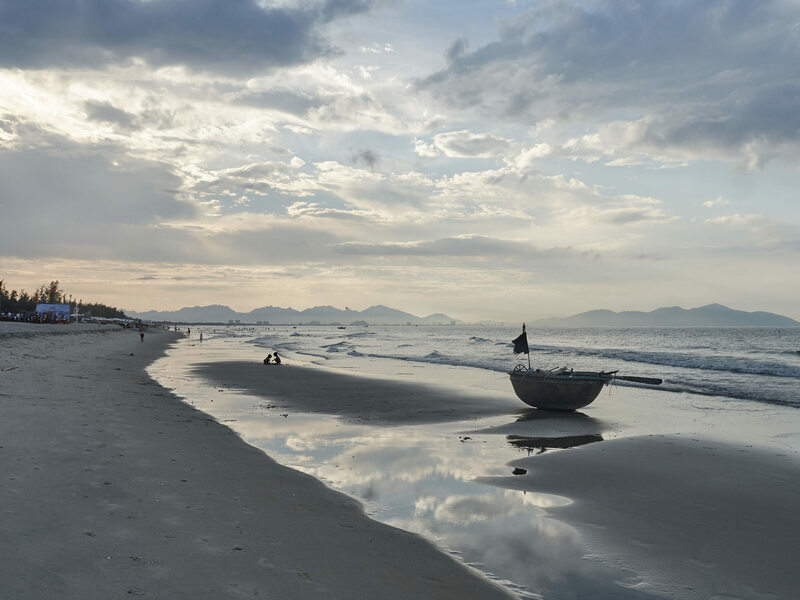 Most hotels and even some cafés offer bike rental, so once you’re kitted up, head towards the best local beach – An Bang. The easy 30-minute ride through fields of rice paddies will reward you with palm tree-lined open restaurants, golden sandy beaches and bright blue water. While you could just lie on your beach towel for free, we suggest taking a seat on one of the numerous shady beach beds, where servers will make it their mission to bring you as much delicious food and ice-cold cocktails as you can handle. What is it? 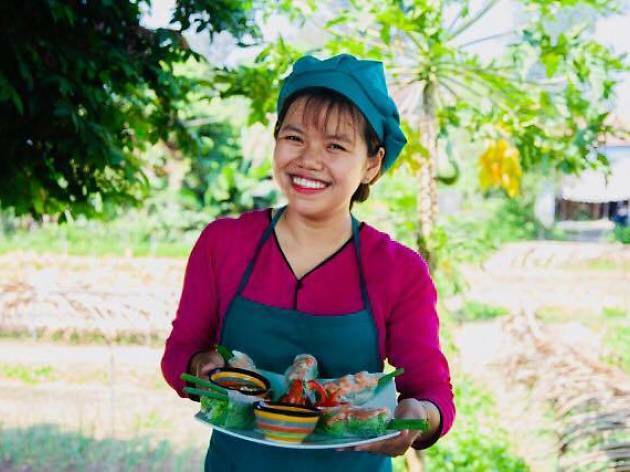 The opportunity to cook (and eat) with locals on an organic farm. Why go? 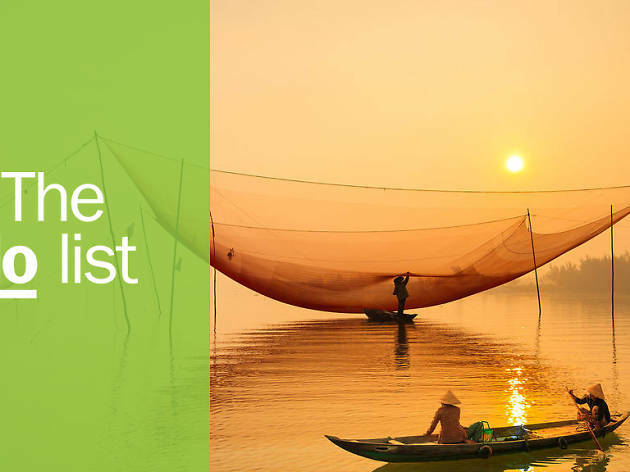 Hoi An is renowned for its excellent fresh food, with culinary influences stretching back to the town’s former life as a trading post. 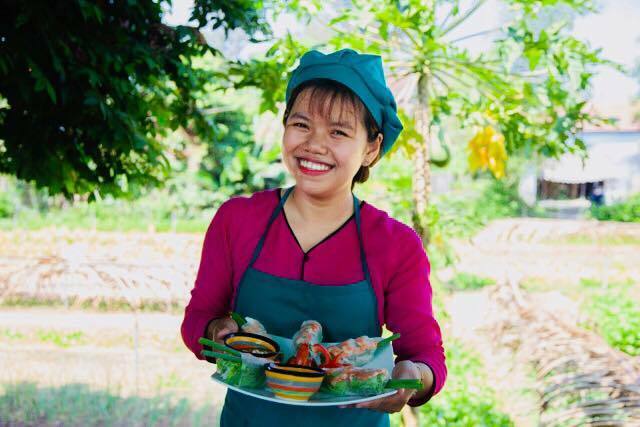 Most good chefs in Hoi An source their vegetables from the nearby Tra Que organic farm, which makes it the perfect spot to learn some Vietnamese cooking skills of your own. You will get to walk around the vegetable and herb farm at your own pace, meeting friendly farmers along the way. When it’s time to eat, chefs will show you how to make your own Vietnamese spring rolls, salads and even a delicious peanut sauce. The best part is learning how to carve vegetables into decorative edible flowers – a simple touch that’s guaranteed to impress your friends back home. What is it? A lively waterfront area known for bars, food and people watching. Why go? Once the go-to spot for traders to get a drink between voyages, the banks of the Thu Bon River are still the best meeting place for travellers to have a chat over a few tipples. Keep an eye out for Hoi An Artisan, a local craft brewery making some weird and wonderful beers. Their Mango Chili Pale Ale and Madnarin Saison are both good choices, though it’s hard to go past the Chocolate Mulberry Bock. All their fruits and spices are sourced locally. If beer is not your thing, then try some of the local rice wine ‘Ruou thuoc’ or ‘medicine wine’. What is it? 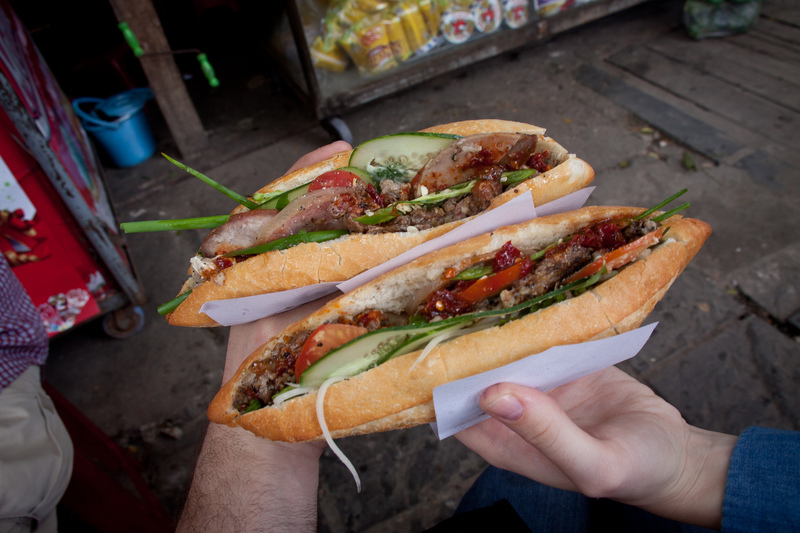 Arguably the best Banh Mi in Vietnam from a lady who’s been making them for over 60 years. Why go? There’s no shortage of places to try Vietnam’s iconic sandwich, but there’s only one Banh Mi Queen. 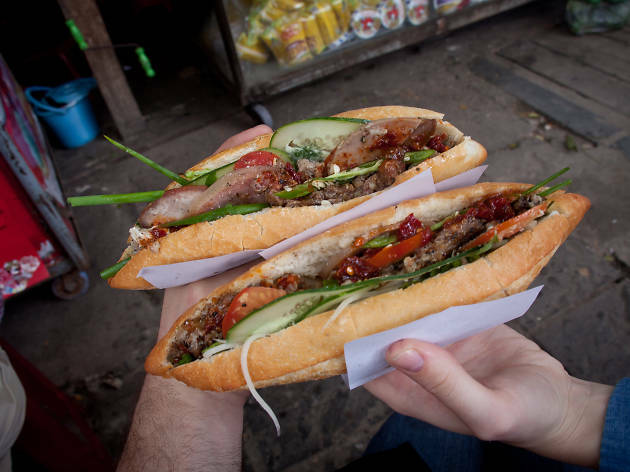 A quick 15-minute walk out of the old city, this unassuming street stall has only one thing on the menu: banh mi. The owner, nicknamed Madam Khanh is an 80-year-old lady who has been perfecting the sandwiches for most of her life. Each crispy, sweet roll is stuffed with pork, pâté, fried egg, pickles, vegetables, herbs, chili and soy sauce, as well as her closely guarded secret sauce. A vegetarian option of egg and vegetables is available, as are a very limited amount of seats. What is it? One of the best places to get a tailor-made outfit. Why go? Choosing which tailor to visit for your one-of-a-kind suit can be an overwhelming process. Among the hundreds of shops that offer the custom service, (and the multiple scams running) there are still plenty of good tailors who can get you looking sharp. The rule of thumb is you get what you paid for and the faster the deadline, the more it will cost. Kimmy Tailor is one of Hoi An’s oldest tailors, and caters to men and women. Making your choices from the seemingly endless options is made slightly easier with a cocktail in hand from the bar upstairs. Make sure you get a seat on the balcony as it has some great views. What is it? The best place to try Vietnamese coffee, strong drip coffee mixed with super sweet condensed milk. Why go? 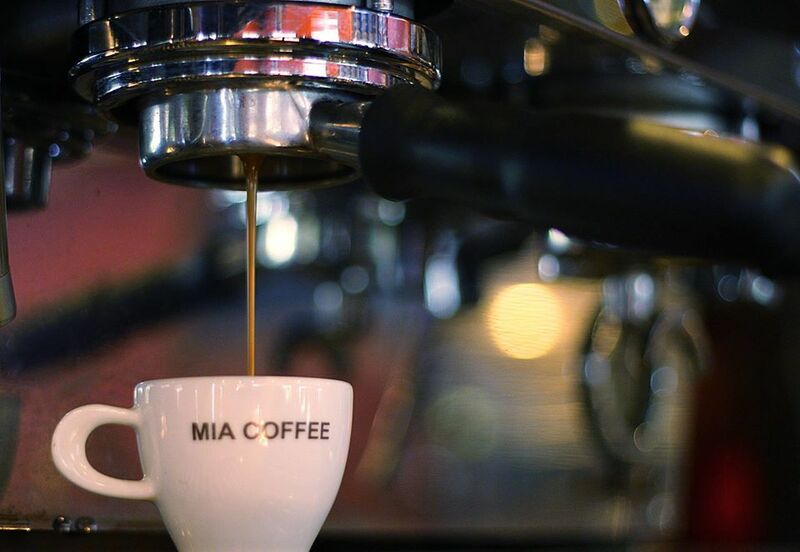 Vietnamese coffee is a must-try, and Mia Coffee offers everything you would expect from a great café. Their Old Town outpost is in a wonderful wooden building with a shady balcony, perfect for people-watching over cake and coffee.